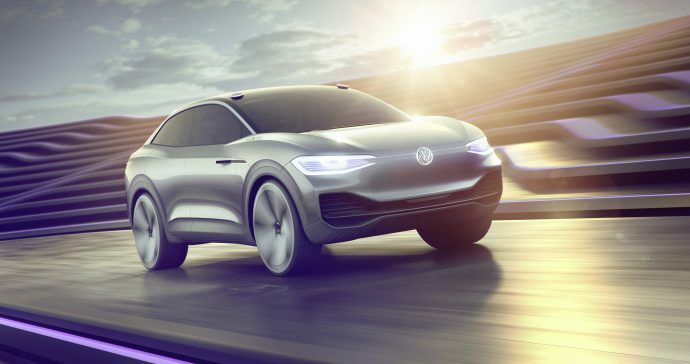 TEL AVIV, Israel, Oct. 29, 2018 – The Volkswagen Group, Mobileye, an Intel Company, and Champion Motors announced plans to deploy Israel’s first self-driving ride hailing service – or Mobility-as-a-Service (MaaS) – starting next year. For this, the partners are planning to establish a joint venture. The planned cooperation is subject to approval by the responsible authorities and bodies. Operating as “New Mobility in Israel,” the group’s proposal was formally accepted by the Israeli government during a private ceremony today at the Smart Mobility Summit in Tel Aviv. Based in Wolfsburg, Germany, the Volkswagen Group is one of the world’s leading carmakers and the largest car manufacturer in Europe. Twelve brands from seven European countries belong to the Group: Volkswagen Passenger Cars, Audi, SEAT, ŠKODA, Bentley, Bugatti, Lamborghini, Porsche, Ducati, Volkswagen Commercial Vehicles, Scania and MAN. The Group operates 120 production facilities in 20 European countries and in 11 countries in America, Asia and Africa. More than 610,000 employees around the globe produce almost 42,000 vehicles every working day, are involved in vehicle-related services or work in other business areas. The Volkswagen Group sells its vehicles in 153 countries. With its future program TOGETHER – Strategy 2025, the Volkswagen Group has paved the way for the biggest change process in its history: its restructuring to become one of the world’s leading providers of sustainable mobility.